Exceptional quality. Without the luxury markup. Jolie Classic Hobo Blush by WATERLILY Los Angeles. Our signature handcrafted Jolie leather hobo will make an timeless addition to your carryall collection. Large enough to store important documents and an iPad, documents and cosmetics case inside it's compact interior. We think it's perfect for work and the weekend. 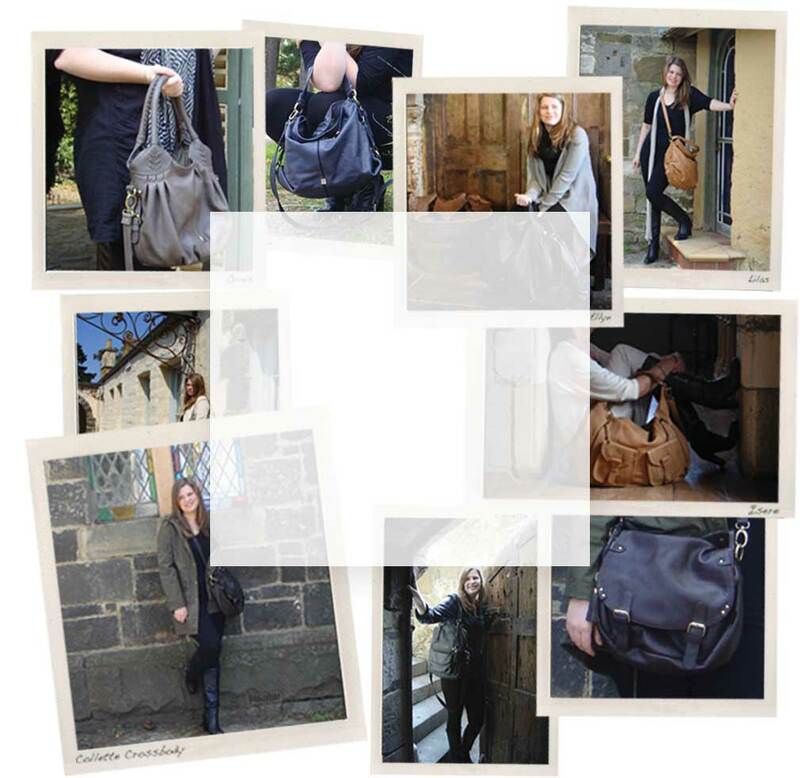 Jolie Hobo fits well under the arm and has an extra shoulder handle to go hands-free! Includes a soft fabric luxury dust bag. Body: Top grain leather, with a slight pebble finish. Hardware: Luxury 14k Gold Lacquered Brass Hardware with varnish protection. Lining: Premium jacquard soft fabric lining. Single handle hobo with a comfortable shoulder grip and a large enough shoulder drop for easy access. Leather used for this product is a textured full-grain leather. Due to the natural dyeing processes, leather may vary in color and texture which is a natural & unique part of it's history. If you require assistance please email our Customer Service at info@waterlilyla.com We look forward to hearing from you! Since launching its first collection in 2004, Waterlily LA has grown from a modest handbags collection to a luxury lifestyle brand with a passionate international following. Inspired by travel, culture & the arts, the brand reveals unique & feminine pieces, which women of every age have come to love. From exotic hand woven luxe leather slouches to pony hair-calf totes, the brand’s accessories are designed for women to endlessly mix and match into countless combinations of effortless elegance. The brand’s luxury boutiques, like its merchandise, offer a wonderfully refreshing sense of escape. Waterlily LA's namesake collection is displayed alongside carefully curated pieces from international designers for an eclectic assortment with wide appeal. Visitors not only encounter exquisite textures, rich colors and special embellishments, but a unique sense of Waterlily’s inimitable joie de vivre. Come discover our world! Waterlily Los Angeles is an expression of artfulness and good design and infuses a sense of beauty and discovery for our customers.